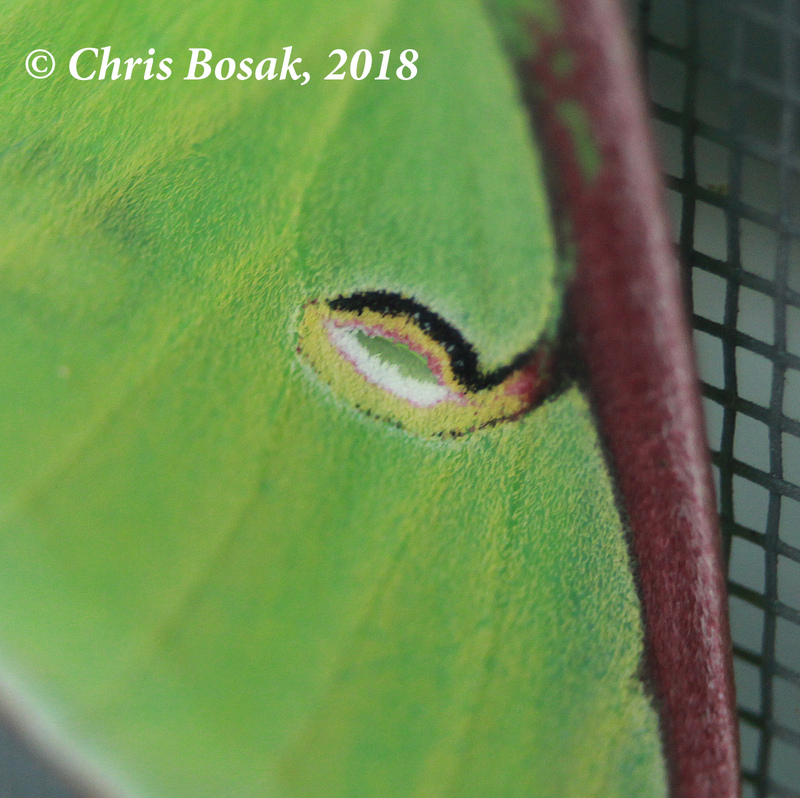 A luna moth clings to a screen in Danbury, Conn., during spring 2018. I went to fill the feeders the other morning when something caught my eye on the outside of the bathroom window screen. It was a luna moth, a first for my house in Danbury and only about the second sighting overall for me. The first came at a gas station, of all places. I may have found a dead one at some point, too, but I can’t remember for sure. There was no denying this handsome moth, though. There it was in all its awesomeness, just clinging to the screen. It hung around all day and evening, but was gone by the next morning. 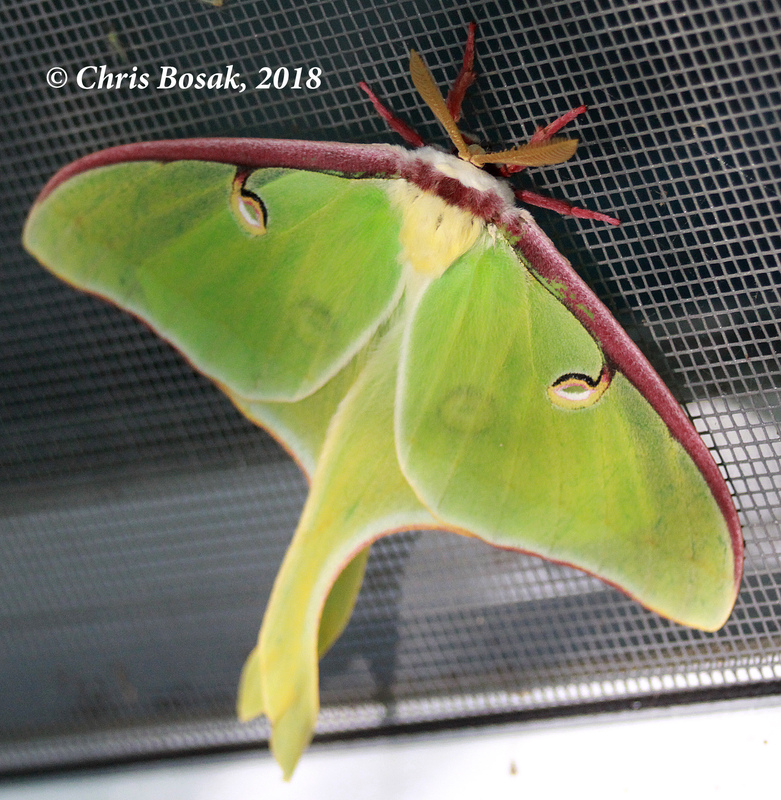 Two interesting facts I learned about luna moths since this sighting: The adult form, which this is, of course, lives for only a week. Secondly, the adult form doesn’t have mouthparts and doesn’t eat. Its sole purpose is to mate. 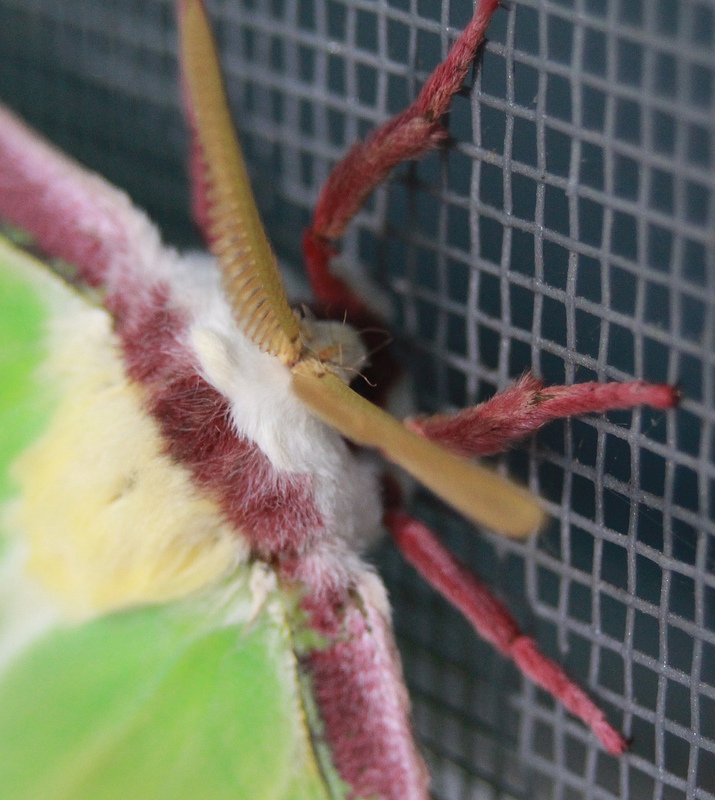 This entry was posted in Uncategorized and tagged big green moth, luna moth by Chris Bosak. Bookmark the permalink. It’s bizarre that I also once saw a luna moth at a gas station. And I’ve seen a couple of lovely live ones in New Hampshire over the years.